For a shutter installation you can depend on, turn to Majors Home Improvement. We serve homeowners in Fort Walton Beach, Florida, and all surrounding communities. 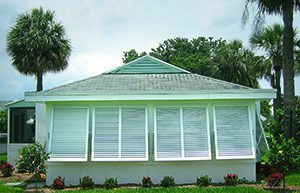 The hurricane shutters that we install are available in a variety of styles, including rolling, colonial, Bahama, and accordion, among others. Every shutter we install is custom-manufactured by us and configured specifically for the home it is being installed on. Additionally, our shutters meet Miami-Dade County Building Code requirements, which means you can count on them to keep your home safe when a storm threatens. If you want to work with one of the leading shutter installation companies in the Fort Walton Beach, FL, area, then contact Majors Home Improvement today. One of our friendly representatives will be pleased to schedule a complimentary in-home consultation at your convenience.